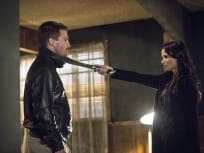 On Arrow Season 3 Episode 23 Ra's al Ghul wants Al Sah-Him to end everything he knew as Oliver Queen including Starling City. Will he do it? On Arrow Season 3 Episode 22, Al Sah-him finishes his training and takes the final steps to become the next Ra's al Ghul. In other words: it's time to be afraid. Oliver is now Al Sah-Him. 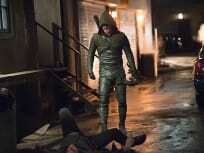 On Arrow Season 3 Episode 21, we see him as the villain and we see how the team reacts to his absence. On Arrow Season 3 Episode 20 Ra's finally makes an offer Oliver can't refuse. The team follows Oliver to Nanda parbat where a heartbroken Felicity takes matters into her own hands. 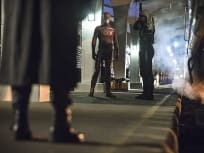 On Arrow Season 3 Episode 19 a metahuman who kills people with blasts of energy and plasma starts killing Starling City residents, forcing Oliver to ask Ray Palmer for help. 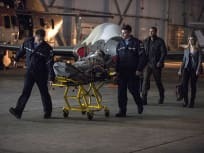 On Arrow Season 3 Episode 18, Ray is critically injured during an attack on the mayor's office and Oliver and Team Arrow do everything to find out who is at fault. 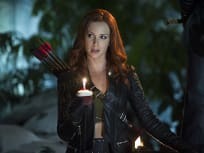 On Arrow Season 3 Episode 17 Diggle and Lyla get married, but their honeymoon is interrupted by Deadshot with information on a new Suicide Squad mission. 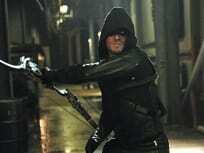 What will Oliver do on Arrow Season 3 Episode 16? A shocking, possibly dangerous offer is now on the table for him. 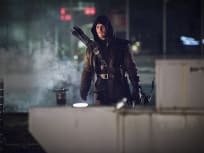 On Arrow Season 3 Episode 15 Malcolm Merlyn is captured by Ra's al Ghul and Oliver heads to Nanda Parbat with Malcolm to attempt to save him. Ray wants to try out his ATOM suit. 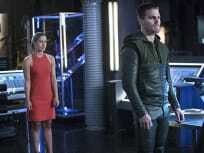 On Arrown Season 3 Episode 14 while Oliver and Thea are on the island, they run into an escaped Slade. Meanwhile Oliver flashes back to the time he returned home and looked in on family. Oliver is surprised by all the changes in Team Arrow. He specifically tells Laurel to stop running about as Black Canary, but she goes against his wishes and things go badly against Vertigo. 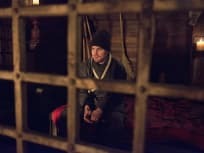 On Arrow Season 3 Episode 12, as Team Arrow is still fighting without Oliver, they are forced to consider Malcolm's officer of assistance to take down Brick. Arrow gives us our next look at the Canary -- the Black Canary? -- in Left Behind, Arrow Season 3 Episode 10. Nyssa is back in Starling City on Arrow Season 3 Episode 9. She has a message for Oliver; one related to her dangerous dad. It's The Flash! It's Arrow! It's an epic crossover event that will conclude on Arrow Season 3 Episode 8. Arrow tries to stop a serial killer on Arrow Season 3 Episode 7. She thinks she's in love with him and she'll do anything to be with him. Seems like a problem, huh? 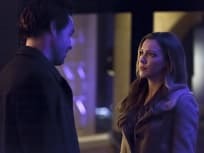 On Arrow Season 3 Episode 6, Ted Grant becomes the main suspect in a murder, prompting Laurel and Oliver to argue over his innocence and the case in general. Arrow Season 3 Episode 5 is all about Felicity Smoak. Ready to learn a lot more about this totally awesome and beloved character? Nyssa returns to Starling City on Arrow Season 3 Episode 4. Oliver, meanwhile, has some suspicions about Merlyn and his past with Sara on this episode. On Arrow, Oliver decides it's time for Thea to return home. Felicity tracked her to Corto Maltese and Oliver prepares to go, with Diggle at his side. On Arrow, Det. Lance calls on The Arrow when another archer hits Starling City and starts targeting businessmen. 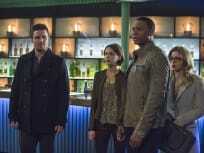 Diggle calls in A.R.G.U.S. to find out who he is. Arrow is back for Season 3! Look for a new enemy to arrive on the premiere. We trade Damien for the virus. That is remarkably ruthless and cold blooded. I approve. Permalink: We trade Damien for the virus. That is remarkably ruthless and cold blooded. I approve. Arrow Season 3 Gag Reel: Curses! Arrow Season 3: Best Episode, Worst Plot Device and More!